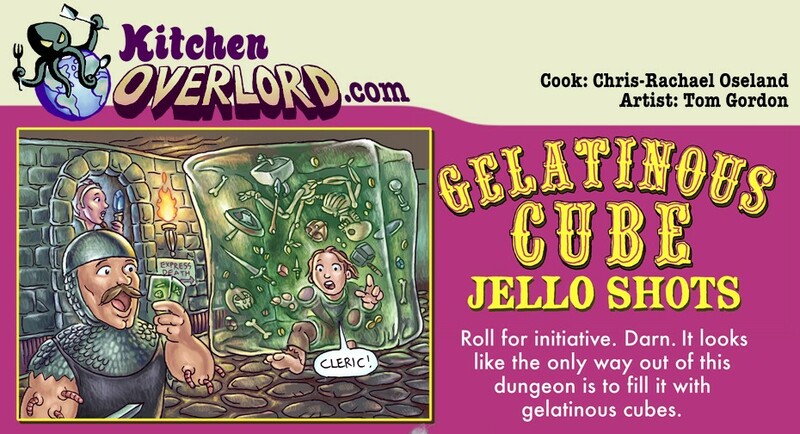 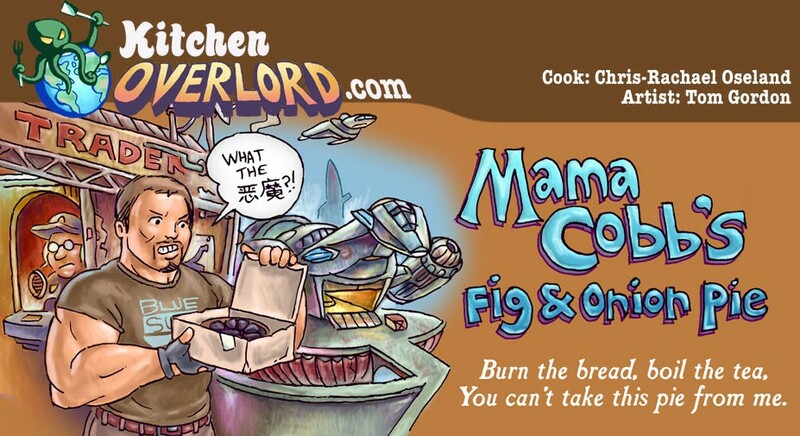 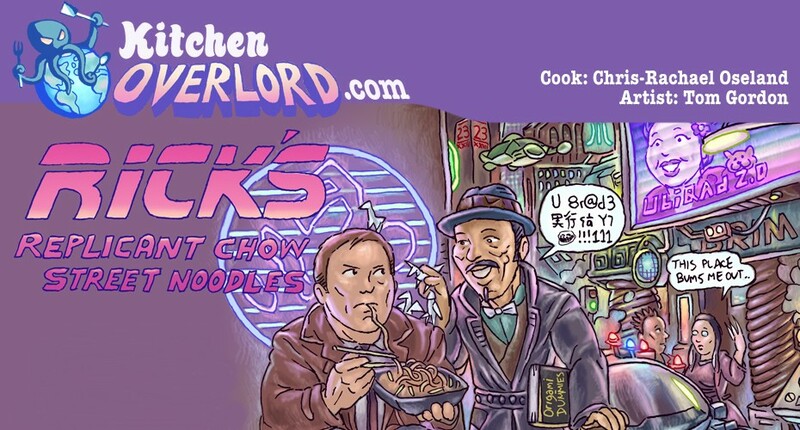 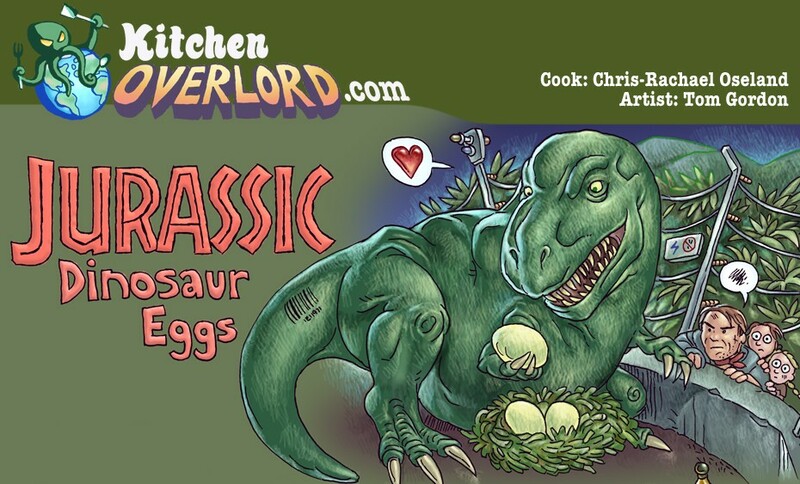 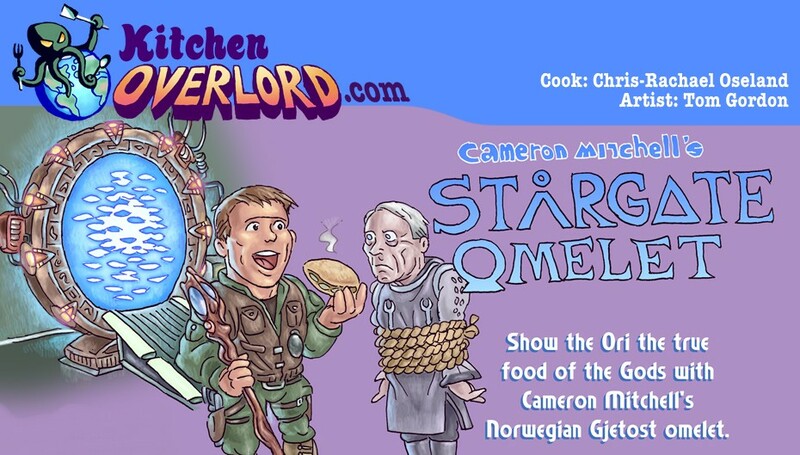 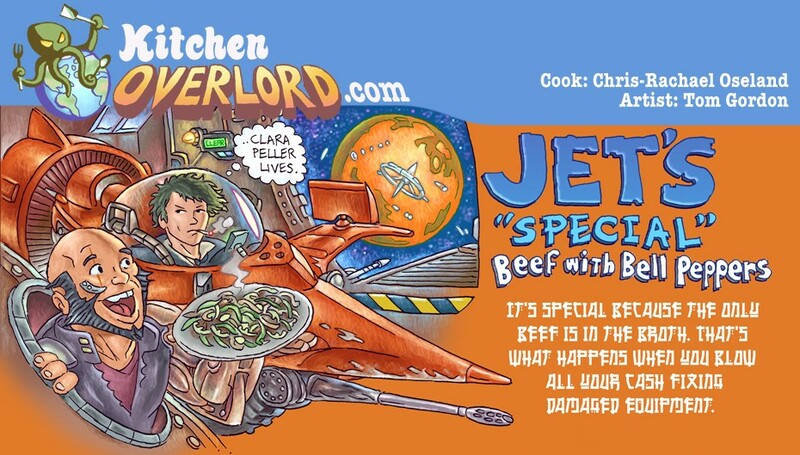 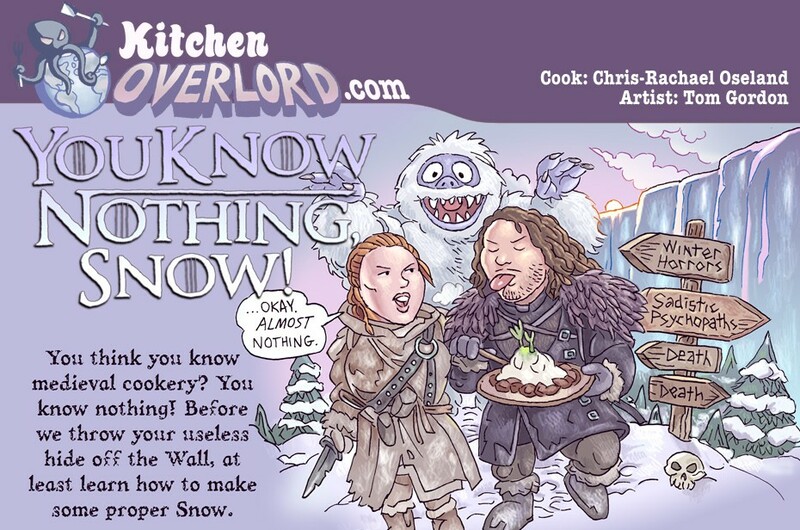 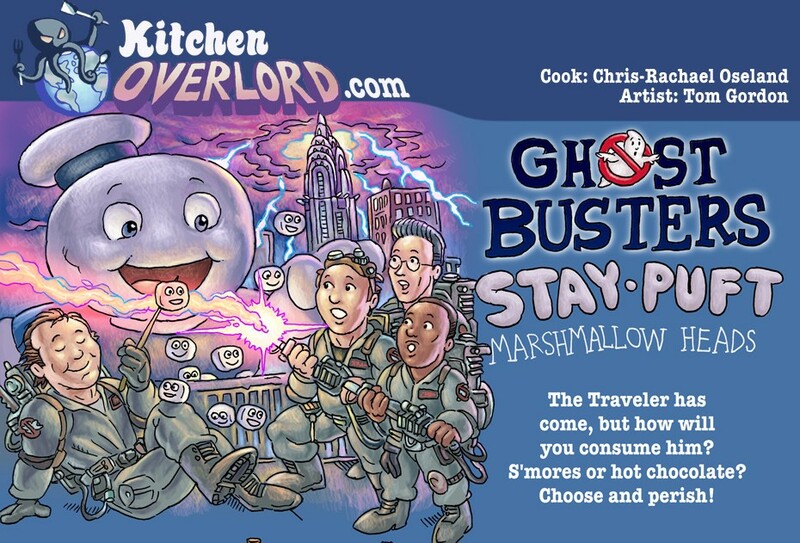 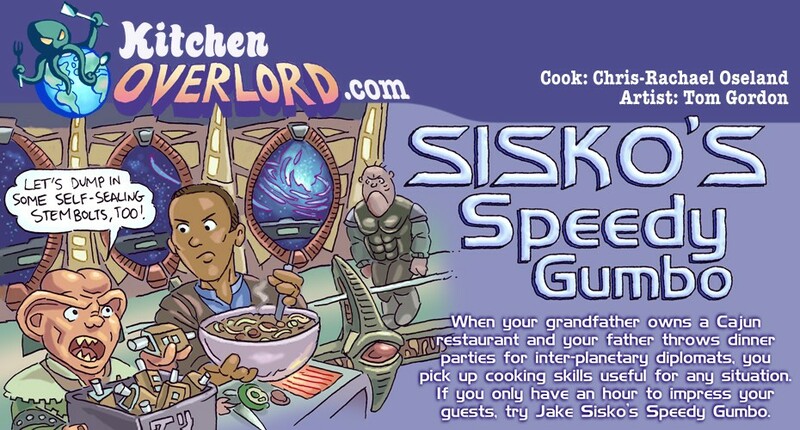 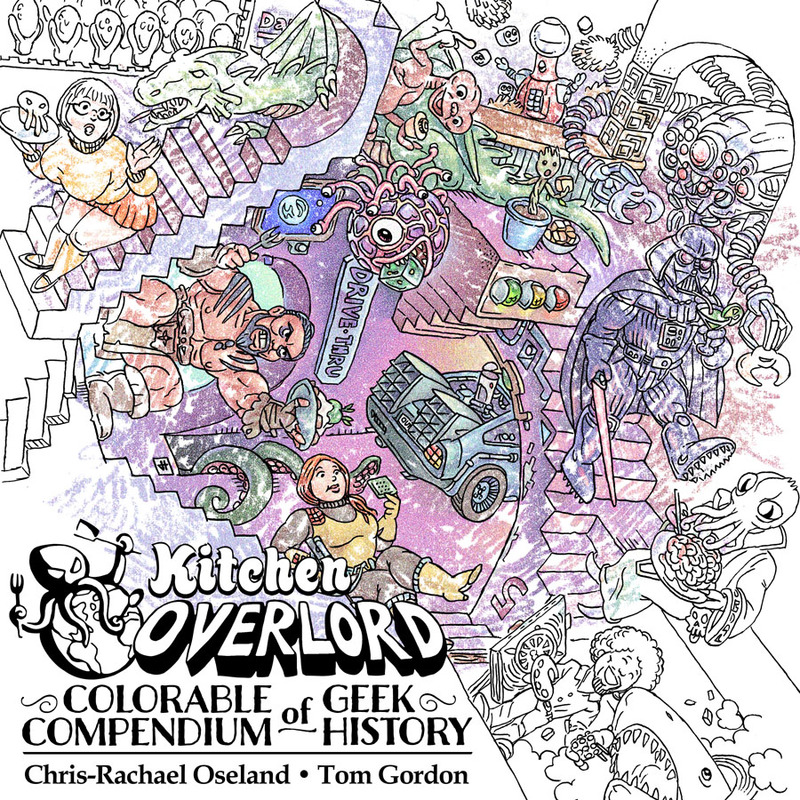 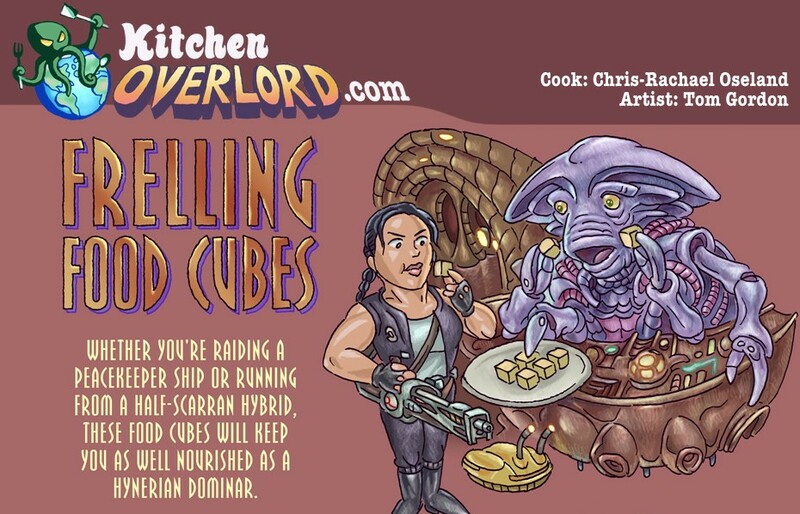 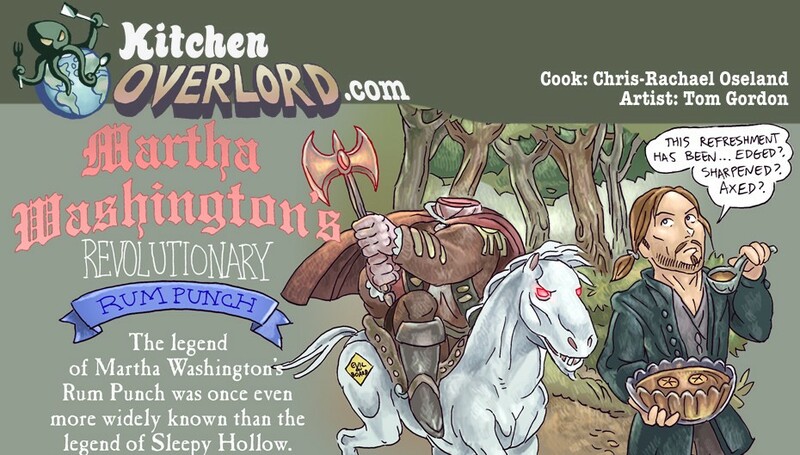 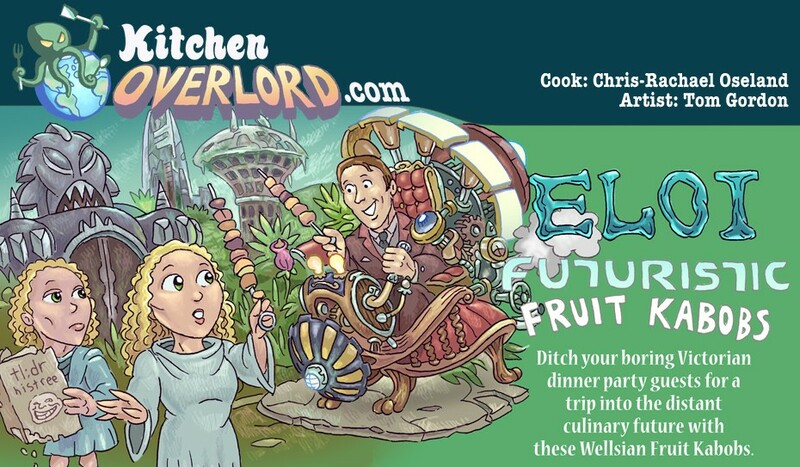 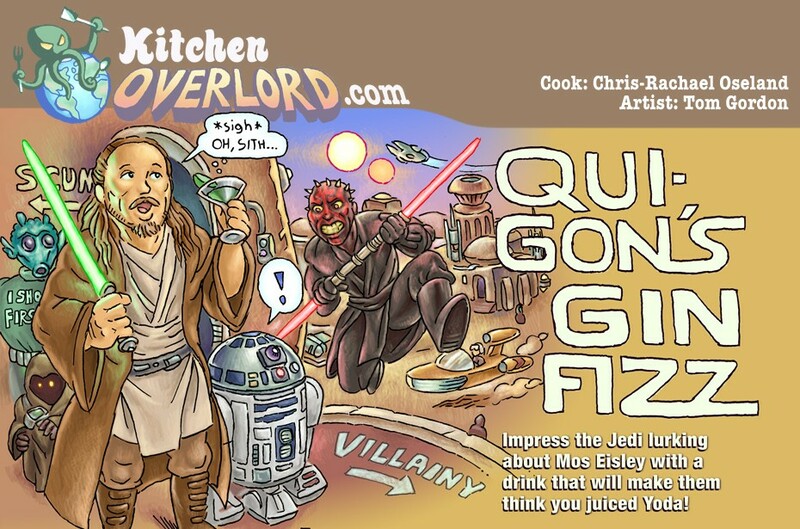 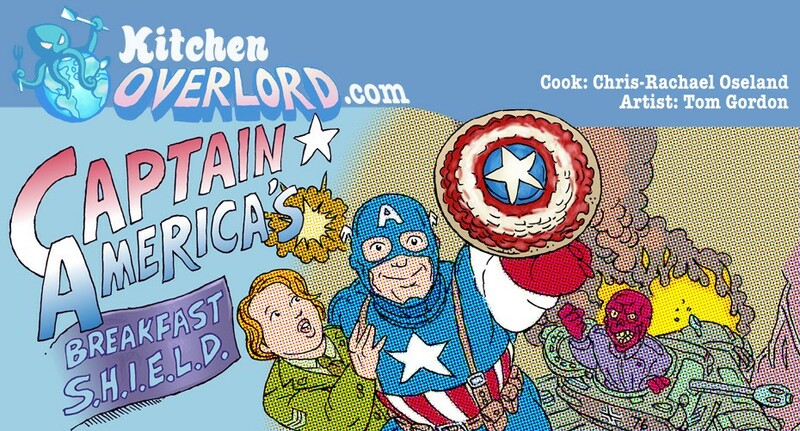 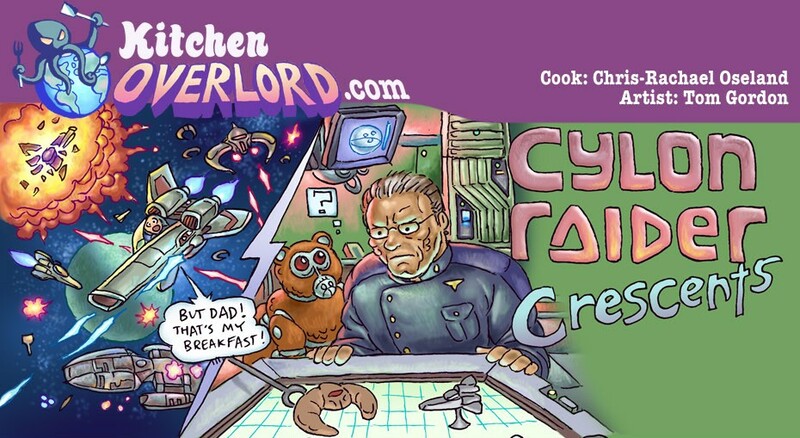 Preview deliciously illustrated homages to 120 years of fandom from Kitchen Overlord’s Illustrated Geek Cookbook! 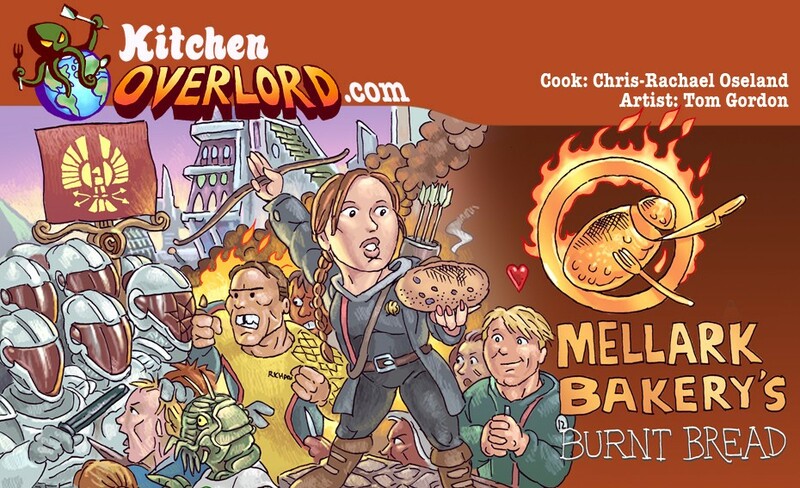 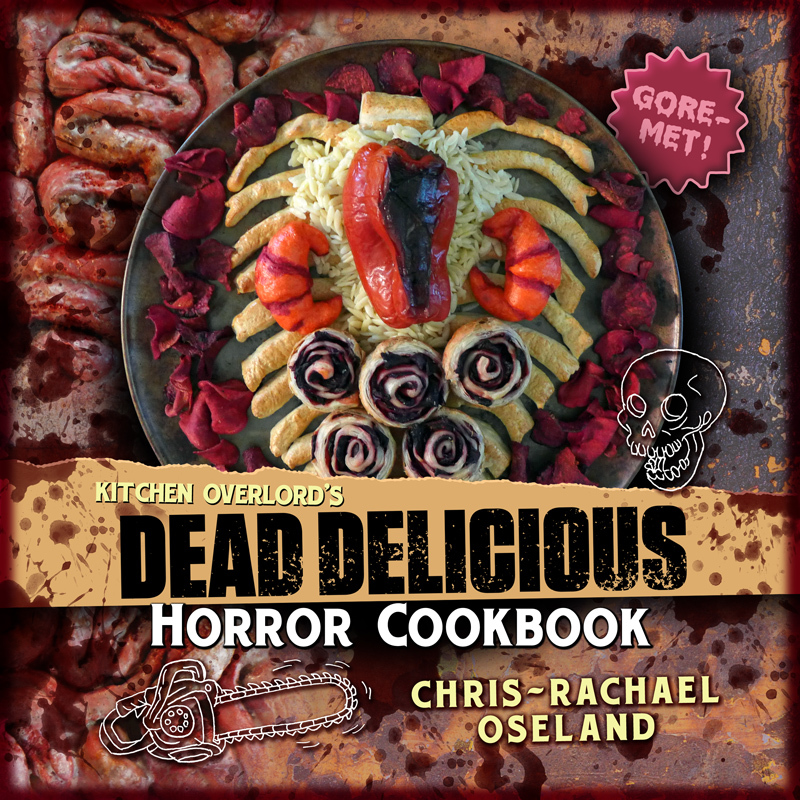 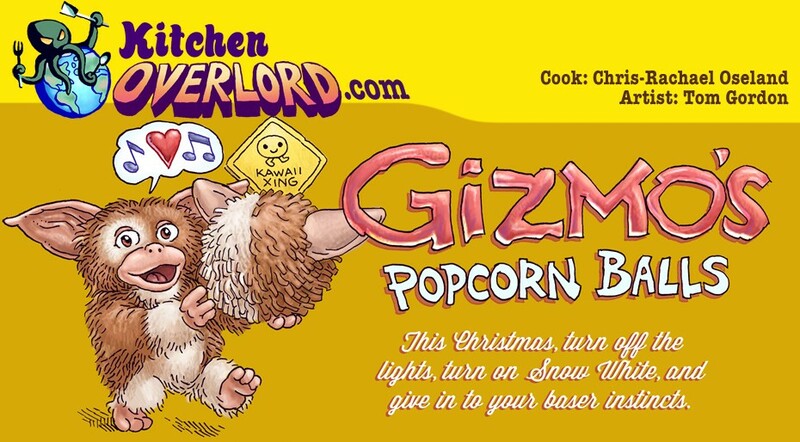 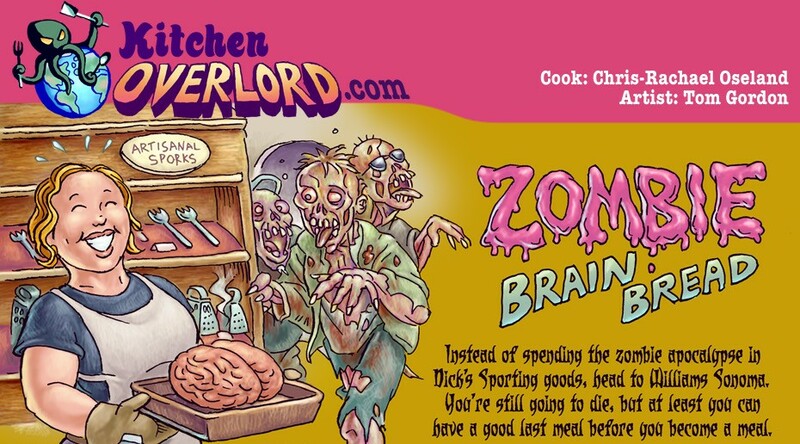 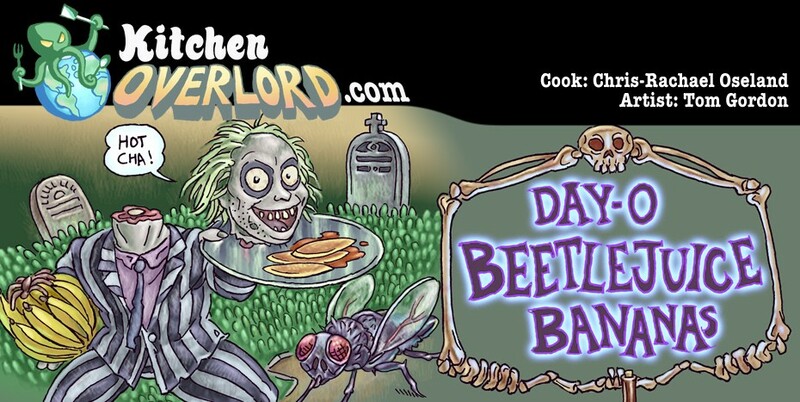 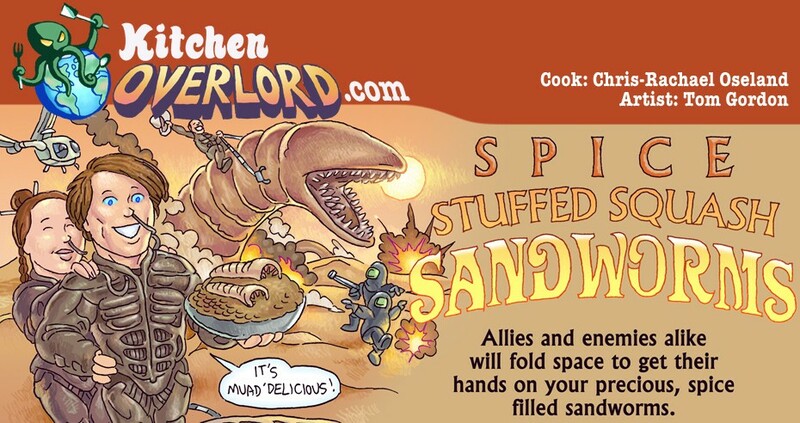 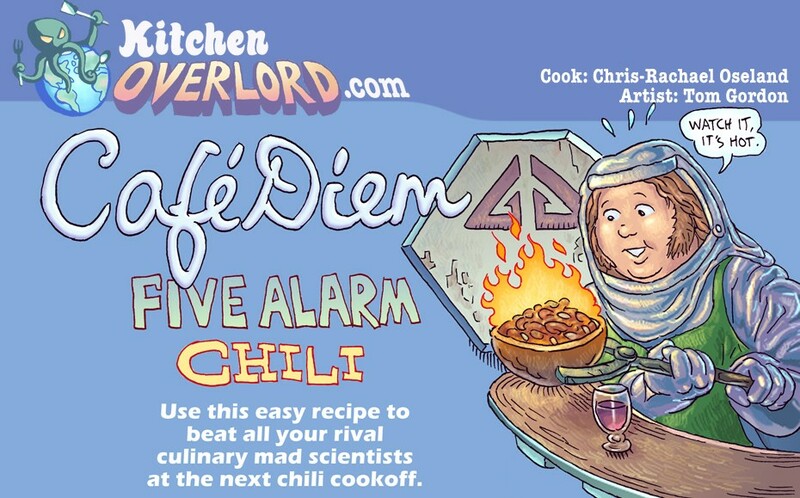 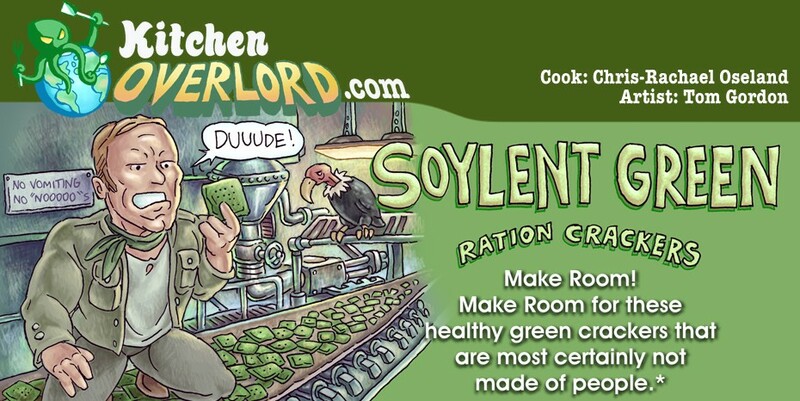 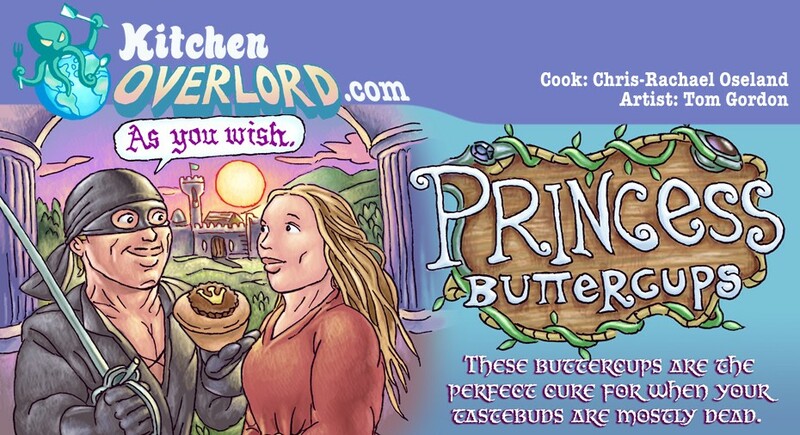 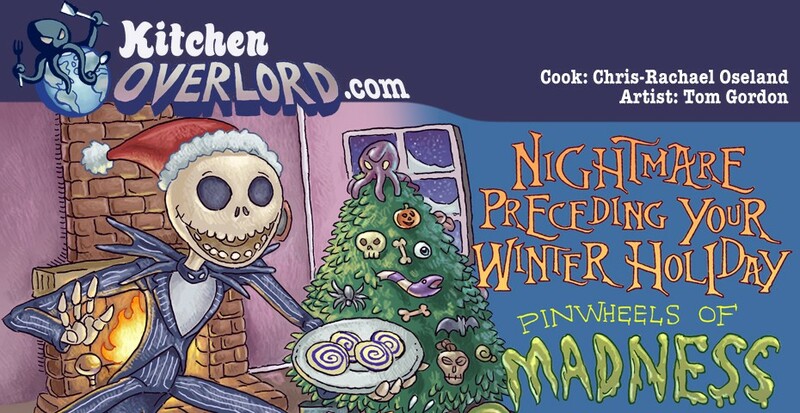 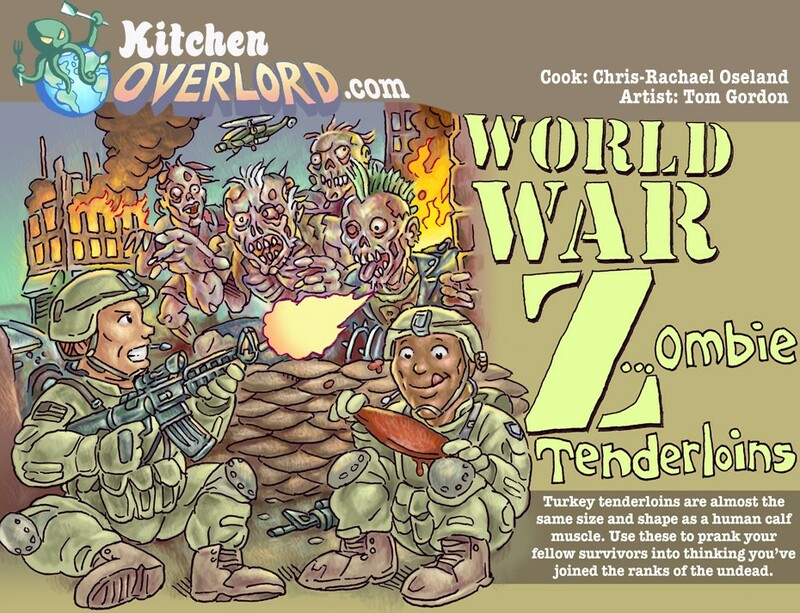 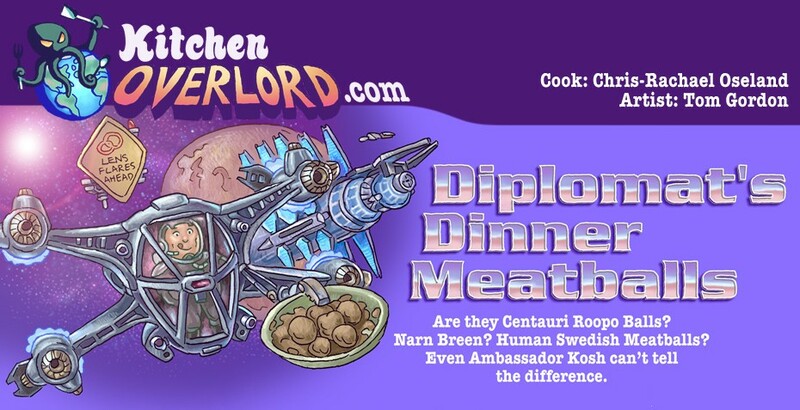 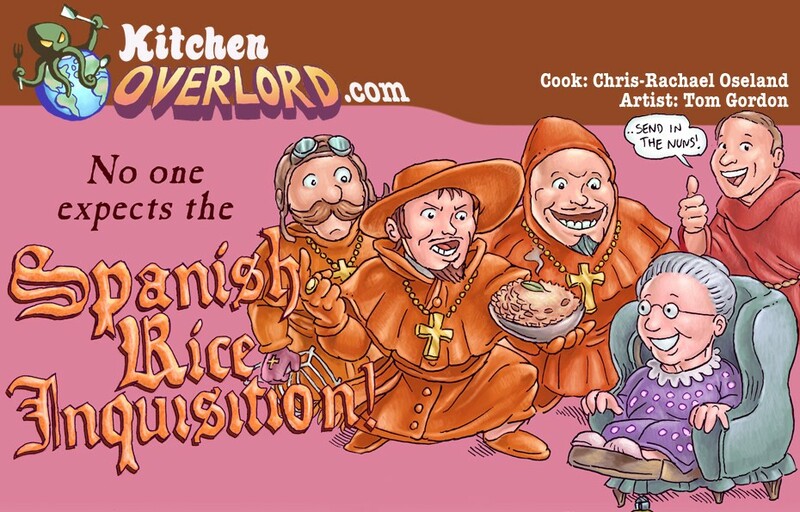 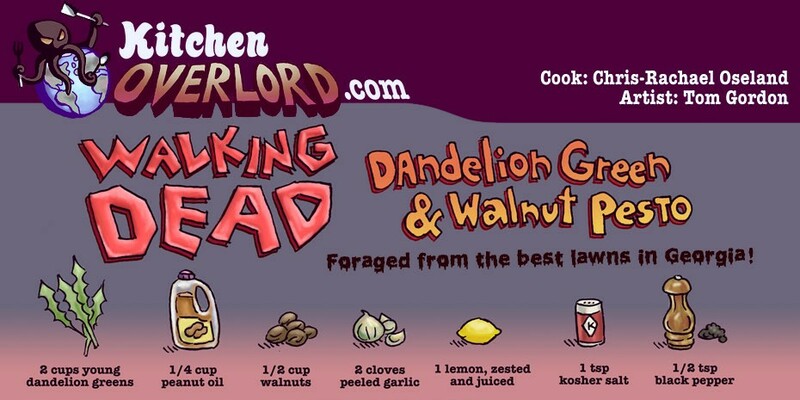 Click on the headers below to see each Kitchen Overlord illustrated recipe in its full poster sized glory. 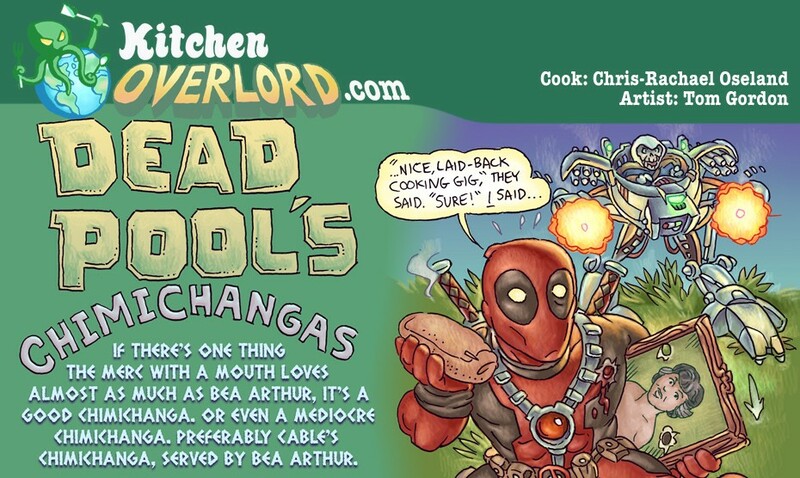 I got your website from 9gag of all places because of the deadpool chimichanga recipe and I’m glad I did. 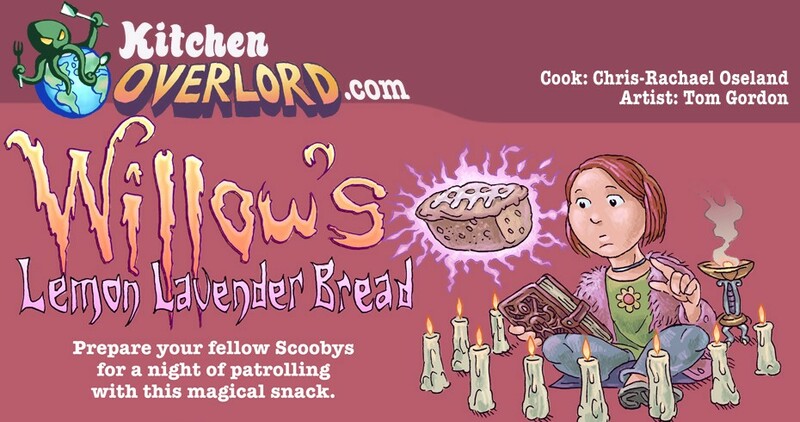 I am in heaven. 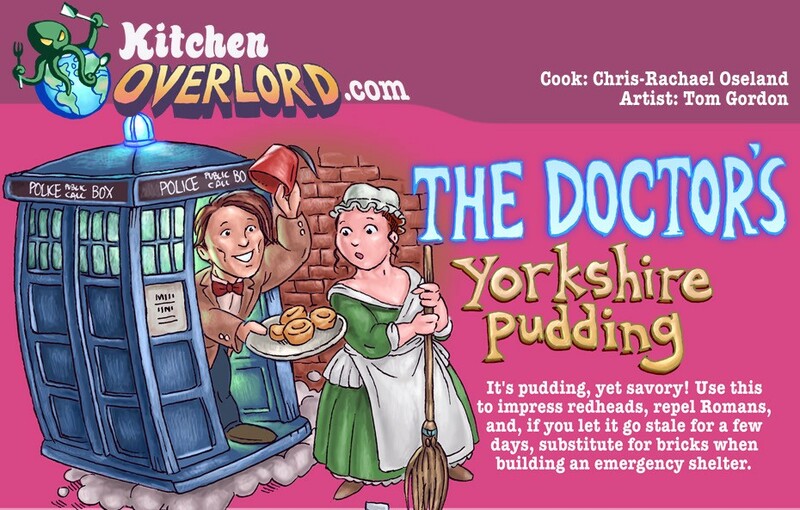 You have combined my two favorite things, cooking and Doctor Who. 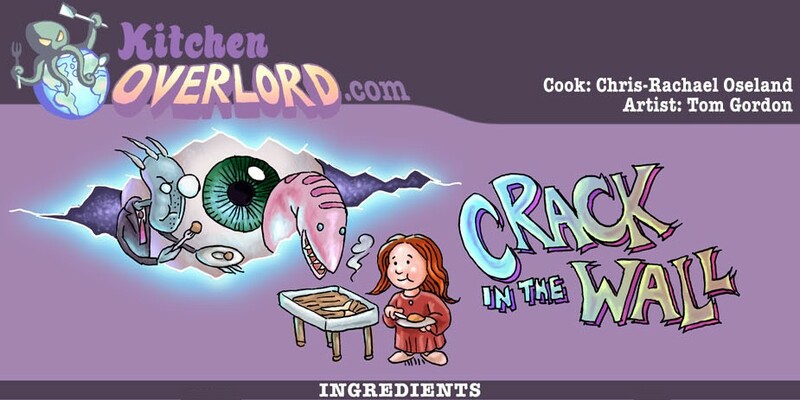 You are awesome and I will be telling all of my friends and family about this site.